An Orange County truck accident lawyer can explain that there are many differences between a standard motor vehicle accident and a truck accident. Here are a few key differences that your Orange County truck accident lawyer may emphasize to you. Your Orange County truck accident lawyer can explain that truck accidents often include multiple parties. For example, your Orange County truck accident attorney can inform you that a truck accident may involve the driver of the truck, the company that hired the driver, the company that hired the truck company and the owner of the rig. Unlike typical car accidents, truck drivers and the companies that employ them must follow a variety of additional federal and state safety standards. Your Orange County truck accident lawyer may inform you that several federal agencies and state departments have complex laws regarding when vehicles will be inspected, how vehicles must be licensed, how many hours drivers can be behind the wheel in a day, how often drivers must take breaks and how many miles drivers can drive. If your Orange County truck accident lawyer can prove by a preponderance of the evidence that the truck driver or company failed to comply with these regulations, this information may be used to help establish liability in your personal injury case. In previous cases, trucking companies were able to sidestep liability in truck accident cases by establishing contracts with truck drivers who owned their own vehicles. The companies would respond that they should not be found liable because the truck drivers were independent contractors and not employees. However, new federal guidelines do not permit this defense through the establishment of guidelines that allow truck companies to be found liable even if they use independent drivers. Before a commercial truck is permitted to be removed from the accident scene, a certified truck inspector must inspect the vehicle. Additionally, many trucks have special computers that record valuable information. 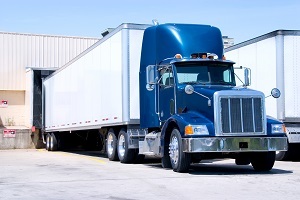 A truck accident lawyer can use this type of information to help establish a victim’s claim. If you would like to know more detailed information from an experienced Orange County truck accident attorney, contact Russell & Lazarus APC at (949) 851-0222.